^'What reason has an educated man for going to the theatre, except to see Menander'?Thus the judgement of Aristophanes of Byzantium, and in later antiquity the social comedies of Menander ranked second in popularity only to the epics of Homer. Yet for centuries thereafter the plays were thought to be irretrievably lost, failing to become part of the canon of writers that generations of copyists deemed worthy of transmitting to us. It was only in the 20th century that large sections of the plays began to emerge from the sands of Egypt, enabling modern readers to gauge for themselves the correctness of earlier verdicts. 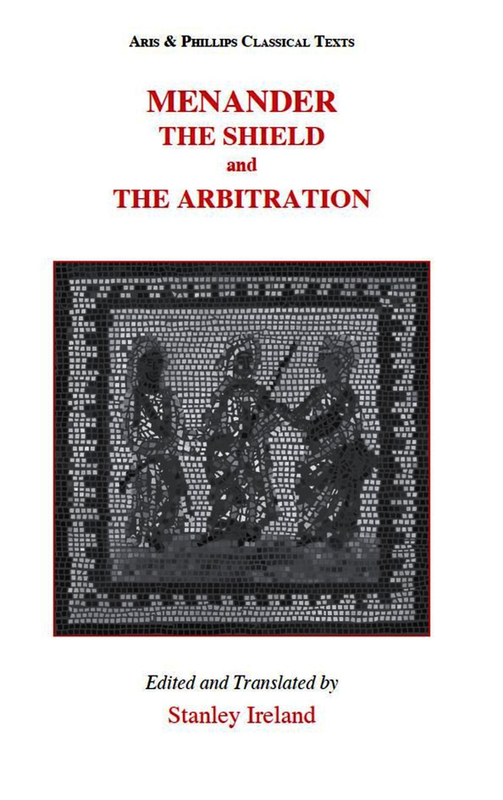 Following on from the author's edition of Menander's Bad-Tempered Man ( dyskolos ) the present volume aims to provide readers with ready access to the playwright's consummate sophistication in dramatic technique through two, albeit incomplete, plays, The Shield ( aspis ) and arbitration ( epitrepontes ). As before, the Greek text is accompanied by a translation aimed at providing a version that is readable, while at the same time remaining close enough to the original to make comparison of the two a feasible proposition. The commentary, in turn, concentrates upon dramatic development, providing the reader with pointers to appreciating the playwright's often subtle techniques of both dramatic development and character portrayal. Stanley Ireland is Reader in Classics and Ancient History at the University of Warwick. He has written on such diverse topics as Menander, Roman Britain and Ancient Numismatics. He is also editor of Terence's The Mother-in-Law in this series. Greek text with facing-page translation, introduction and commentary.